"God Save the Queen is the actual worst song, let's not argue." To be perfectly honest, I was a bit excited for this movie, when I first heard of it, if only because furries in space is a concept that has worked in the past; and, hey, vixen right there. I kept plugging it quietly in the background all throughout 2015 and early 2016 (and you guys thought I only covered Zootopia that year). I mean, what if 2016 had been a year where we had six wide release, fully anthropomorphic world movies ranging in genre from buddy cop, to martial arts, to backstage musical, to crime caper, to space opera, and also Rock Dog? As it ended up, we got, by my count, one great movie, one good movie, one movie that was kind of meh, one movie that turned out to not exist, one terrible movie and also Rock Dog. The trailers for anthropomorphic animated movies are coming thick and fast. Here is the teaser trailer for The Angry Birds Movie, due out (unless the date is changed) May 20, 2016. 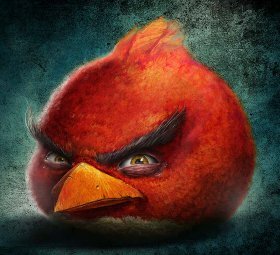 The concept is by Finnish video game company Rovio Entertainment, of course, but the CGI movie is by Sony Pictures Imageworks’ new animation studio in Vancouver (where Sony Pictures Animation moved it from Hollywood for British Columbia’s tax breaks). It’s what Sony Imageworks will be working on now that Hotel Transylvania 2 is finished. 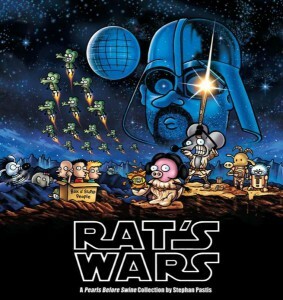 The feature is directed by Clay Kaytis and Fergal Reilly, from a screenplay by Jon Vitti. 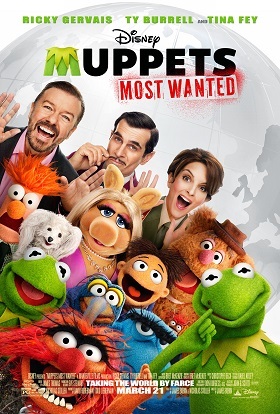 Voices include Jason Sudeikis as Red, Josh Gad as Chuck, Maya Rudolph as Matilda, Danny McBride as Bomb and Peter Dinklage as Mighty Eagle, with Bill Hader as Leonard, a Minion Pig. Besides the Oscar-winning animated short film Feast, one of the animated shorts that was making a whole lot of buzz during awards season was called The Dam Keeper. 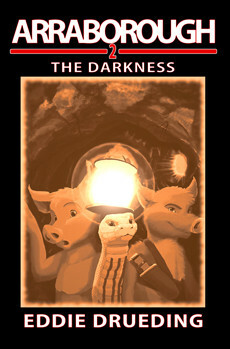 Here’s the description from Wikipedia: ” It tells the story of Pig, an introverted youth who lives in a windmill and keeps a dark fog from engulfing his town. Although socially rejected by his peers, he is befriended by the artistic Fox.” The Dam Keeper was directed by Robert Kondo and Daisuke Tsutsumi, both art directors at Pixar (they worked together on Monsters University). Now comes this bit of news from Cartoon Brew: “Tonko House, the studio founded by former Pixar art directors Robert Kondo and Daisuke “Dice” Tsutsumi, is developing a feature film based on their Academy Award-nominated short The Dam Keeper. The announcement was made along with the news that Tonko House is partnering with First Second Books, an imprint of Macmillan, to expand their short into a graphic novel series. The first book in The Dam Keeper graphic novel series will be released in 2016, picking up the narrative some years after the original story of the orphaned Pig and his quest to maintain the town dam. 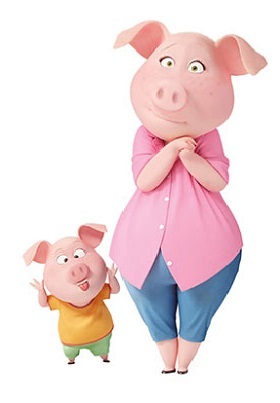 It will address two questions unanswered in the film: what happened to Pig’s parents, and how did his world come to be at the mercy of a dark cloud? We simply can’t describe Amity Blamity any better than the publishers do: “Meet Gretchen & Chester. Gretchen is a shy 4 year old and Chester is a potbellied pig. They live with Gretchen’s Grandma and listless Uncle Downey in rural America. Mistaking their afternoon activity of playing office for entrepreneurial gusto, Downey recruits the duo to assist in his deluded aspirations of running moonshine (echoing his boyhood heroes Bo & Luke Duke). Unbeknownst to the outlandish family and their activities, strange forest critters begin to lurk in the woods nearby, disrupting their quirky daily life and sending them on an adventure to save their degenerate Uncle from a strange genetic mutation!” Got that? Now Slave Labor Graphics have published Mike White’s black & white on-line comic strip story (so far) as a single soft-cover trade paperback. 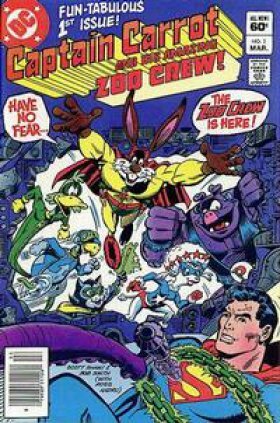 Check it out (including a YouTube trailer) at SLG’s web site, and see the comic itself (including more full-color “Sundays”) at the official Blogspot. Suspense/terror/horror stories in which all animals, or all of certain species, turn against mankind go back at least to Arthur Machen’s unreadable “The Terror” (1917). Probably the best-known is Daphne du Maurier’s “The Birds” (1952). I recently reviewed Steven Hammond's Rise of the Penguins (2012). In movies, the terror-animals have ranged from rats to all of the giant mutations like Them and Night of the Lepus. How successful any of these are usually depends on two factors. The skill of the author (or the director) in building a mood of terror, and the plausibility of the reason given for the animals to turn against humanity. In The Awareness, both of these fail. NYC, The Stone Press, March 2014, paperback $14.95 (ix + 221 [+3] pages), Kindle free. IDW has put out this comic to celebrate the fact that the Teenage Mutant Ninja Turtles have turned 30 this year, an age which is not only well beyond teenaged, but also past the point where pointing that out can be considered witty, but that’s not going to stop me. The book contains a brief history of the ninja turtles, starting with their beginnings as a self-published comic in May of 1984, with various pieces of turtle nostalgia, including the sketch of what is now considered the “first turtle,” ads, posters and press releases for the first ever issue, as well as full page tribute art by Steve Lavigne, Michael Dooney, Ken Mitchroney, Ben Bates, T-Rex, Ross Campbell, Mark Torres, David Petersen and Daniel “Pez” Lopez, with a cover by Kevin Eastman and Peter Laird with a back cover by Mateus Santolouco, not to mention a variety of alternate covers. 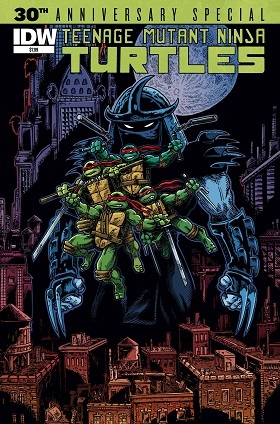 The book covers the history of the TMNT in the comics exclusively; it features brand new stories taking place in five comic book continuities: the early Mirage years, the Archie TMNT Adventures, the Image “third volume”, the later Mirage years and the newest IDW series, with a limited cover gallery showing the first issue of each of these eras. 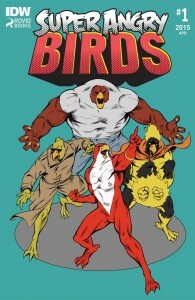 May 2014, IDW Publishing, San Diego, CA, trade paperback $7.99, Kindle $1.99. Brand new from Previews: “Tom Arvis’ legendary hero and indie favorite Mercenary Pig is now presented in one complete, full color volume! 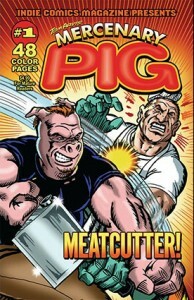 A walking, talking, thinking, humanoid pig takes on animal cruelty, genetically modified pigs, and, ultimately, an evil food conglomerate, in this pork-humor filled, action packed origin story! New material wraps up the entire Meatcutter story arc in these 48 pages, as Percy the pig begins his guerrilla fight for animal rights – with his fists!” We don’t make this stuff up folks — if we did, we’d get paid more! Mercenary Pig #1 is available this April from Aazurn Publishing. Check out the preview video on YouTube, too. 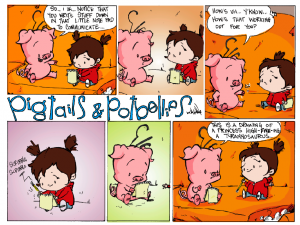 Pearls Before Swine is a full-color on-line comic strip written and illustrated by Stephan Pastis — who was formerly a lawyer in California. 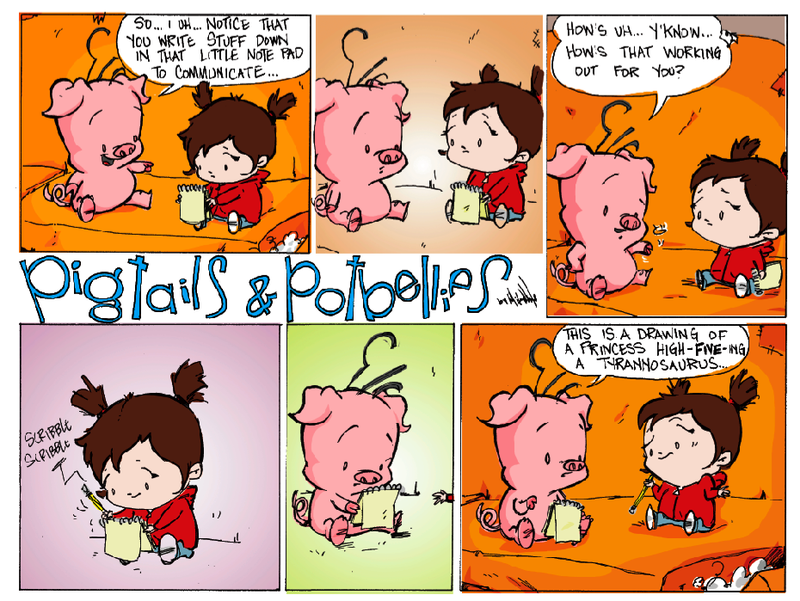 “At its heart, Pearls Before Swine is the comic strip tale of two friends: An arrogant Rat who thinks he knows it all and a slow-witted Pig who doesn’t know any better. Together, this pair offers caustic commentary on humanity’s quest for the unattainable. Dilbert cartoonist Scott Adams says that Pearls is ‘one of the few comics that makes me laugh out loud.’” Well there you have it. 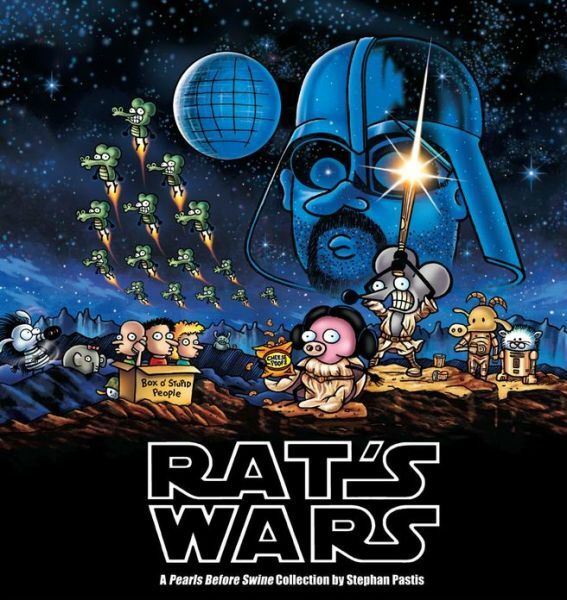 There have been several paperback book collections of Pearls Before Swine comic strips; the latest one, Rat’s Wars, is coming from Andrews McMeel Publishing this October. Check it out over at Amazon. And check out the comic itself over at GoComics. I have no interest in video games. But I could not help hearing about Angry Birds, created in 2009 by Rovio Entertainment in Espoo, Finland. They seemed to be everywhere in the last couple of years; on billboards, in Coca-Cola and Cheetos advertising, in political cartoons, in news articles that UK Prime Minister David Cameron and famous author Salman Rushdie are fans, and that Angry Birds theme parks have opened or are under construction in places as far afield as Finland and Malaysia. Finally, animated Angry Birds episodes have appeared on TV and YouTube (I watched those), and theatrical features in both stop-motion and CGI animation are in development. Insight Editions is one of the publishers specializing in lavish full-color coffee-table books about CGI features. It has published books (which I have reviewed for Animation World Network) on the art of Rango, Madagascar 3, Puss in Boots, and Rise of the Guardians, among others. It has done a similar de luxe presentation here; not only on the video games and the merchandising and so on, but on the individual characters – the Angry Birds (Red, Chuck, Terence, Matilda, Bomb, Bubbles, Jim, Jake, and Jay, Stella, etc. 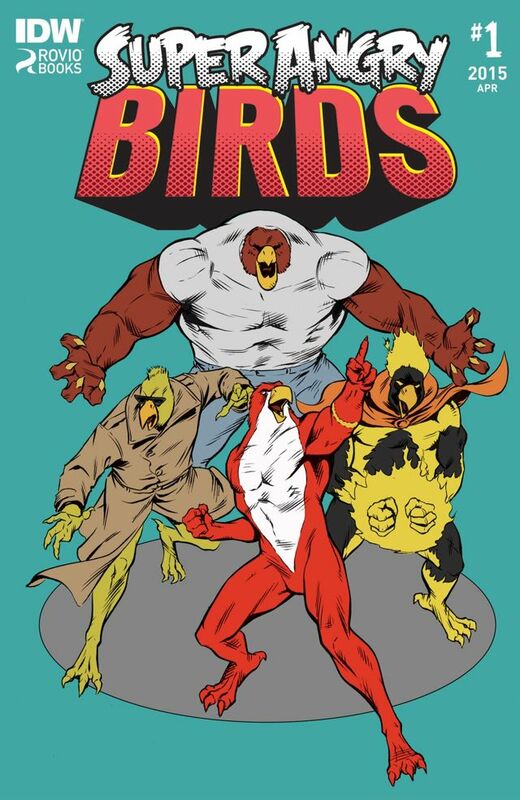 ); their adversaries, the Bad Piggies (King Pig, Chief Pig, and their many minions); and the other supporting birds (Mighty Eagle, Freddie Bird, Hal the toucan, and others. Insight Editions, June 2013, hardcover $50.00 (161 [+ 3] pages). Foreword by Mikael Hed. The Darkness, a.k.a. “Arraborough, Book 2”, has a two-page “The Story So Far” synopsis of Book 1, The Unimaginable Road, but it seems more confusing than enlightening. Basically, The Darkness jumps right into the story in progress. If you have not read The Unimaginable Road, you should start there. If you have, even when Book 1 was first published over a year ago, the events will swiftly come back to you. The Darkness is a darker story, no joke intended. In Book 1, the community of Arraborough is created with high hopes for its success. Unknown forces are clearly working against it, but there is a feeling that if the animal community will continue to trust each other and work together, they will prevail against the shadowy obstacles. In Book 2, that unity is broken. Deaths occur, some possibly natural but ominous, and others definitely murder. The Arraboroughans now wonder who is the murderer in their midst; which of their close friends is secretly working to sabotage their community. And the agencies opposed to Arraborough seem stronger. Melange Books, June 2013, trade paperback $13.95 (203 [+ 2] pages), Kindle $5.99. Eddie Drueding's Arraborough series debuted in 2012 with The Unimaginable Road, featuring a "fully anthropomorphic world bereft of a human populace". With 2013 comes the release of The Darkness, again published by Melange Books, and available in PDF and HTML formats or print-on-demand via Lulu. Proceeds from 2013 sales will be donated to a local animal charity, The Cat Rescue Network. 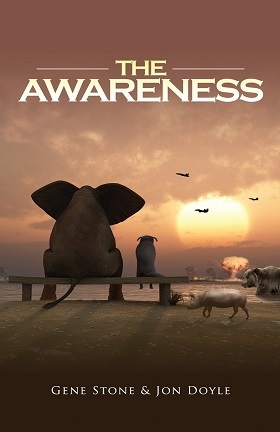 Book 1, The Unimaginable Road introduced a strange animal planet and the small group of friends who decided to build a safe haven from the deep-laid intrigues of their modern society. The Darkness finds them facing their painful pasts and confronting their hostile environment. An expedition exploring the dark, mysterious network of caves finds evidence of horrors past, present, and future; and a seemingly random accident in a nearby city sends a tragic figure on a collision course with the peaceful denizens of Arraborough.